Become a KidSparkz member - These activities can all be downloaded in the Member Library area of the site. Halloween large manipulative cutouts to make games and centers, and room decor.12 characters. ​Number cats large cutouts 1-20 for recognition, sequencing, games etc. ​Halloween song: Hey You, Monster! ​Halloween flip book emergent reader "Who is behind the door?" plus supporting activities - 14 pages. FREE to MEMBERS on the Halloween theme page. 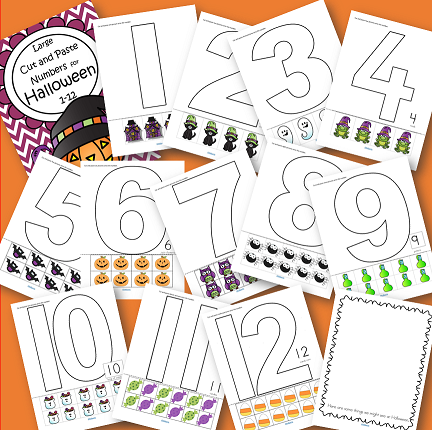 ​Set of Halloween theme number flashcards 0-20, plus a set of 10-frame flashcards, 0-20. Center/small group. Halloween Bats Can Count to 20! - no prep. $3. 20 pages. FREE to MEMBERS on the Halloween theme page. ​Use as a center, or as a cut and paste individual activity. 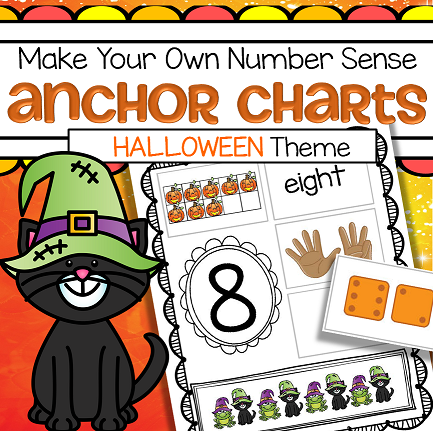 10 anchor charts, 1-10. FREE to MEMBERS on the Member halloween theme page.